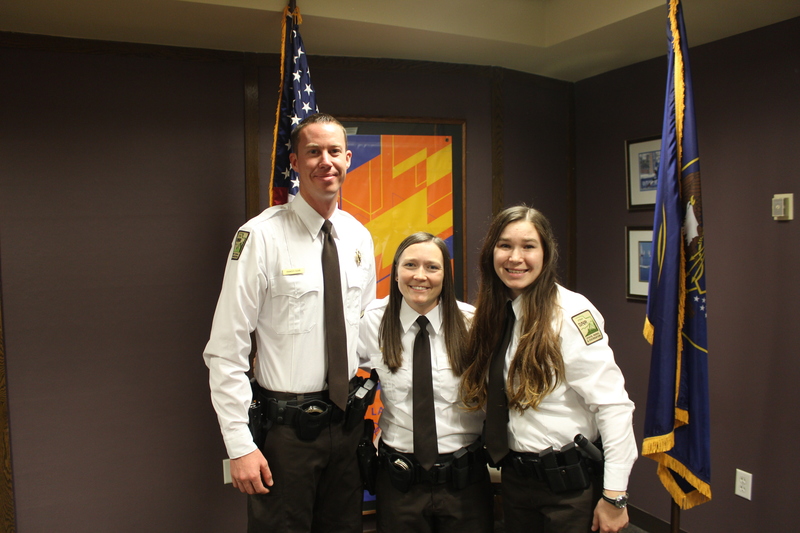 (L-R) Park Rangers Buhr, Johnson, and Schaefer pose for a photo after being officially sworn in. 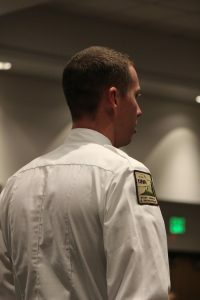 SALT LAKE CITY — The Utah Divison of Parks and Recreation welcomed three new park rangers to the state parks family Thursday. 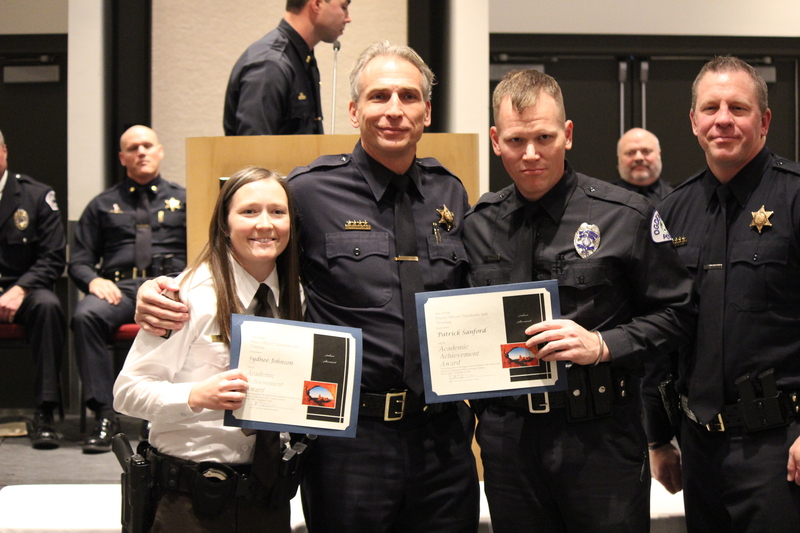 Rangers Sierra Schaefer, Sydnee Johnson, and Patrick Buhr joined our ranks after completing the required Utah Peace Officer Standards and Training courses. 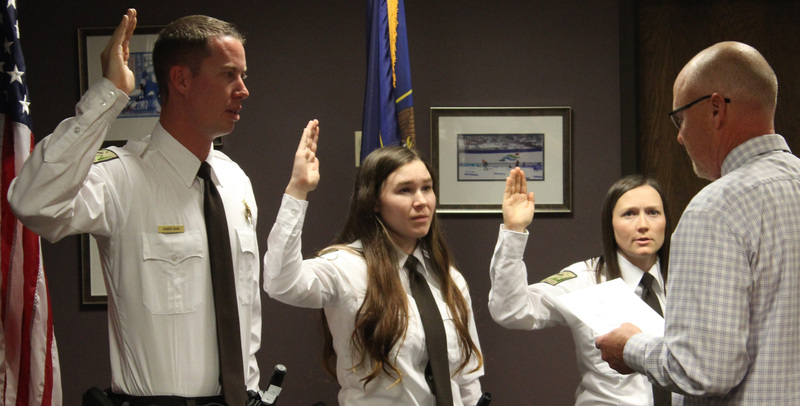 Following their POST Graduation, they were officially sworn in as official rangers at the Utah State Parks headquarters in Salt Lake City. Ranger Patrick Buhr, 30, was raised in Kirtland, New Mexico. He graduated from Utah State University with his Bachelor of Science in Parks and Recreation Managment. Prior to becoming a park ranger, Buhr also worked as a staff member at Jordanelle State Park, and as an intern with the Utah State Parks OHV Program. He will be stationed at Coral Pink Sand Dunes State Park located just outside of Kanab, Utah. Sierra Schaefer, 22, will be stationed at Sand Hollow State Park. She is a graduate from Southern Utah University, where she earned her Master’s Degree in Public Administration and a Bachelor’s Degree in Criminal Justice with an Outdoor Recreation in Parks and Tourism minor. Raised in a military family, Schaefer was born abroad in Okinawa but calls Roy, Utah home. Rockport State Park will be getting Ranger Sydnee Johnson, 25, as their new park ranger. Johnson also graduated from Southern Utah University and has a Bachelor’s Degree in Outdoor Recreation in Parks and Tourism. She hails from Logan, Utah and is excited to begin her career as a park ranger. Ranger Johnson (left) poses with her Academic Achievement Award at POST graduation. Ranger Johnson also received special recognition at her POST graduation and was given the Academic Achievement Award for her class. Park rangers are an extremely important part of Utah Division of Parks and Recreation. They provide essential law enforcement duties at our state parks and are also tasked with patrolling many of Utah’s other waterways and trails. Rangers also work hard to ensure visitors have a safe place to enjoy and are educated about the risks and dangers of outdoor recreation. 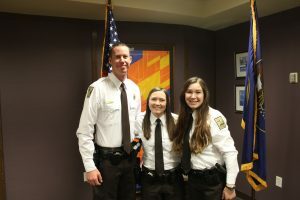 Utah State Parks is excited to welcome these three rangers to our team. It is our hope they will serve their respective state parks and the Division with honor and integrity. Are you interested in becoming a Utah State Parks Ranger? Learn more HERE. Rangers Buhr, Johnson, and Schaefer officially take their oath from Utah State Parks Director Jeff Rasmussen.